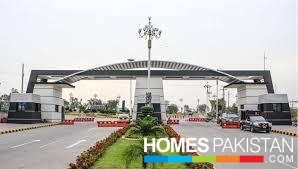 Nestled right in Citi Housing Scheme, Jhelum, here we have a Shop having in B block main boulevard for Sale for you at an incredible price of 65 lac PKR (Pakistan). Spanning over 250 Square Feet in Citi Housing Scheme is a Shop you can't pass on. Get in touch with us for more details. I am interested in your property Reference No. with title '1.1 Marla Shop for Sale In Citi Housing'. Please send me further details. Thank you.